STEAMBOAT SPRINGS — Steamboat Springs High School senior Winter Boese couldn’t wait to get to the finish line. Boese lied down on the cold, hard ground after the 5-kilometer individual start skate race. She was turned on her side, resting both of her shins against the snow to try to ease the pain. She laughs when she tells her friends about her icing strategy, and despite a second-place overall finish, just four seconds away from first-place, Boese’s number one concern was getting up. “I was super nervous about my race,” Boese said. 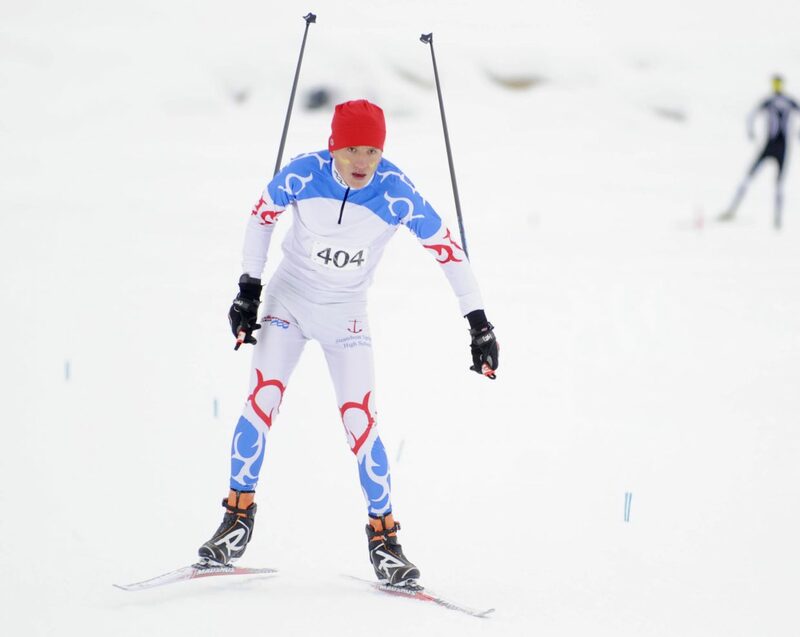 “I was either going to not race or ski classic again, like I did the last skate race, but it was awful, I got like 55th. It’s frustrating for Boese. This past summer, Boese had a stress reaction in her shins and couldn’t run for over two months. When she returned for cross country running, she felt out of shape in the beginning but, eventually, found herself as Steamboat Springs’ top-finisher in 18th place at the Class 4A state meet. 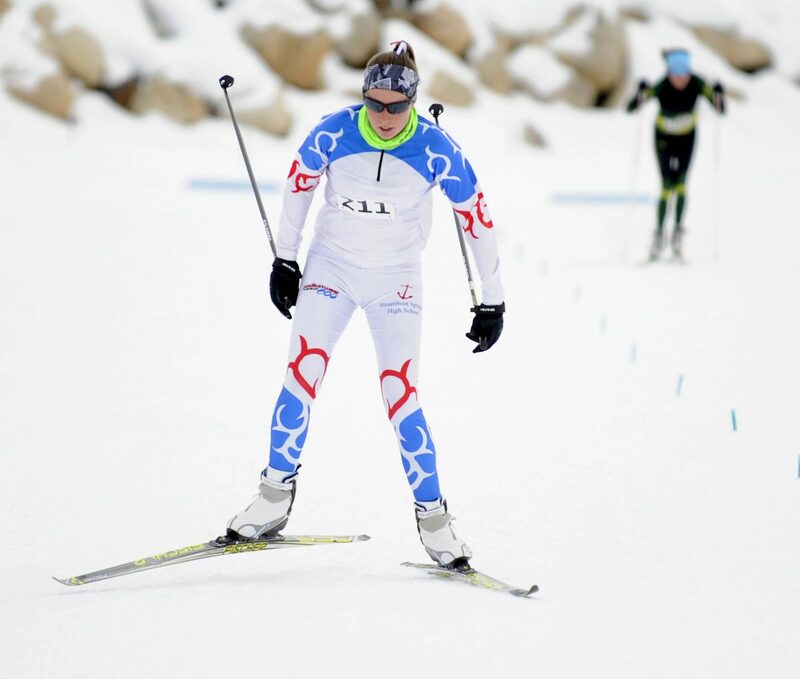 As a well-decorated runner and skier, Boese is losing her patience with her shin injuries. She did everything right during cross country season — rolling out and stretching every night. Skiing is supposed to be easier on her body, a time for her to amp up her endurance without the wear and tear of planting each foot repeatedly on the ground for miles, partaking in yoga as a part of training. Instead, it’s another season of fighting through pain, but she’s doing it well. Boese has already qualified for state in both classic and skate disciplines. Boese will enter the state meet as the top skate skier in the state while sophomore Zoe Bennett-Manke is sitting at sixth in state. As Steamboat Springs High school skier and a sophomore at Hayden High School, Wyatt Mortenson has consistently been the top finishers on the boys’ team this season. Mortenson was all-state last year and has already qualified in both disciplines to go to state. He came in sixth overall on Saturday and is ranked No. 5 overall in the state for skate skiing. The V2 technique focuses on double-poling with each skate. It takes practice and a lot of balance. The Steamboat Ski Touring center’s course requires tremendous balance because of its downhill turns. The Sailors trained on the course three times the week of competition to master it by Saturday, which helped prevent crashes the Sailors have faced this season in other places. The Sailors boys and girls teams collected third-overall team placings. It was the third time the girls had placed third in a skate race during the regular season. Steamboat will send nine of its 13 girls and seven of its 13 boys to the state championships on Thursday and Friday, Feb. 21-22 in Durango.